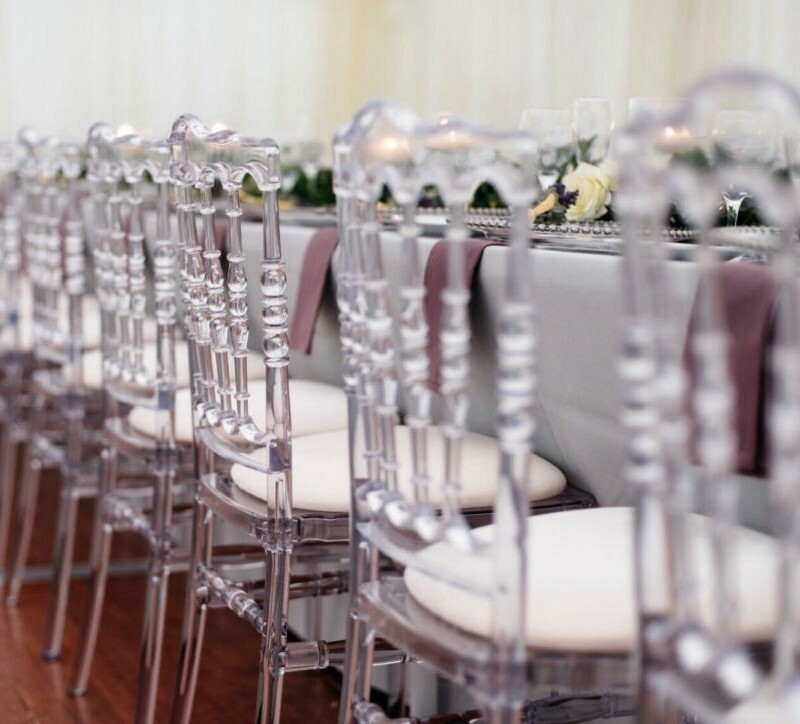 Our stunning ICE chairs will transform any venue. Beautiful in their design and comfortable to sit at with their seat pad and chair back design. 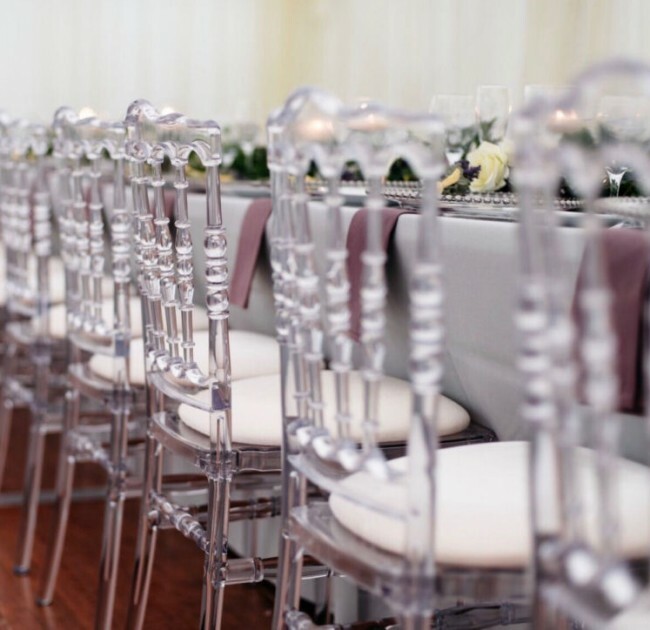 The pale ivory seat pads come included in the price and other colours can be hired for a supplement. 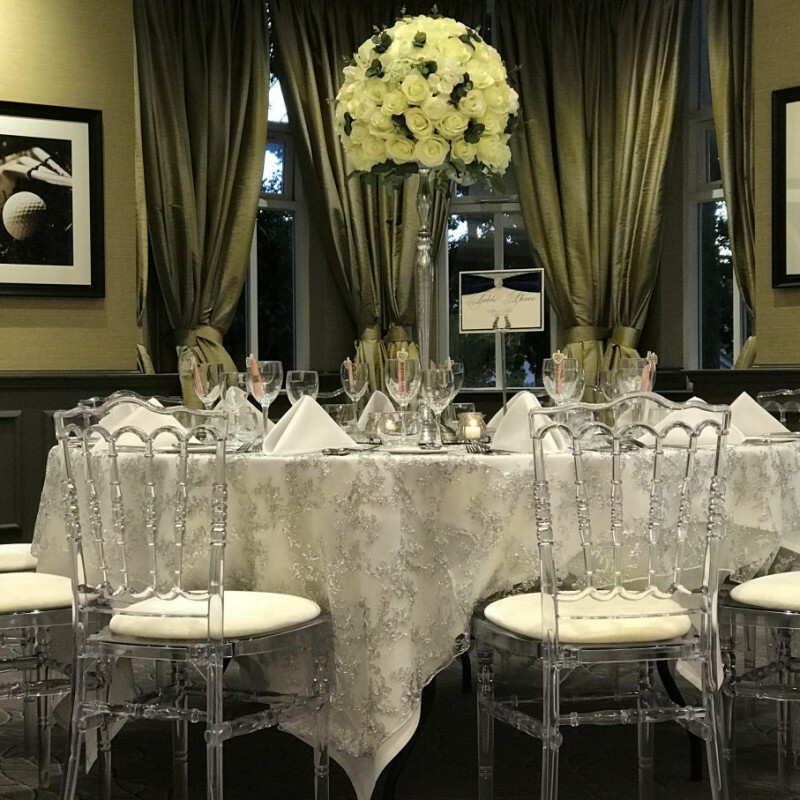 Also known as Ghost chairs as you see through them to display your gorgeous table settings and create an ambience of luxury and elegance. Prices start at £5 each plus delivery. Want to know more? Click here to ask a question! 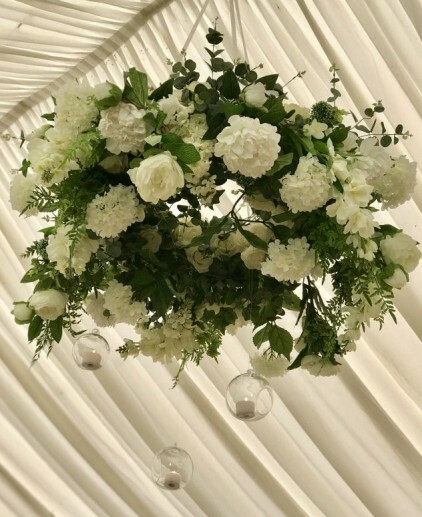 Your centrepiece sets the ambience of your room and is so important to get right. 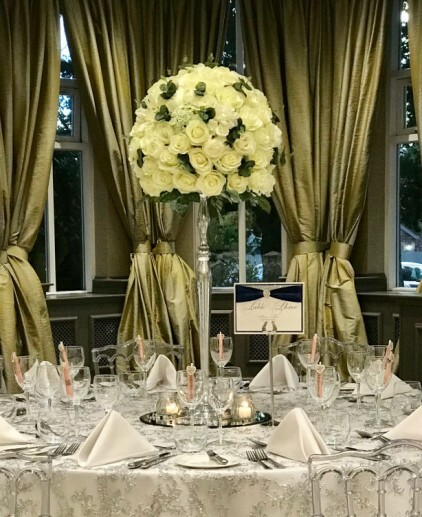 Whether it be the simple elegance of our candelabras or our beautiful, tall flower balls , floating candles or a bespoke arrangement, they are what will set the mood of your room.